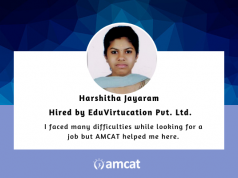 Among our student testimonials, this candidate came to the AMCAT test, expecting decent job profiles and reputed companies. This is how it went for her. We recount Sreevidya’s AMCAT Test experience in this student testimonial. An engineering graduate from Kerala, Sreevidya Aks’ career arc after college, may seem odd to some. 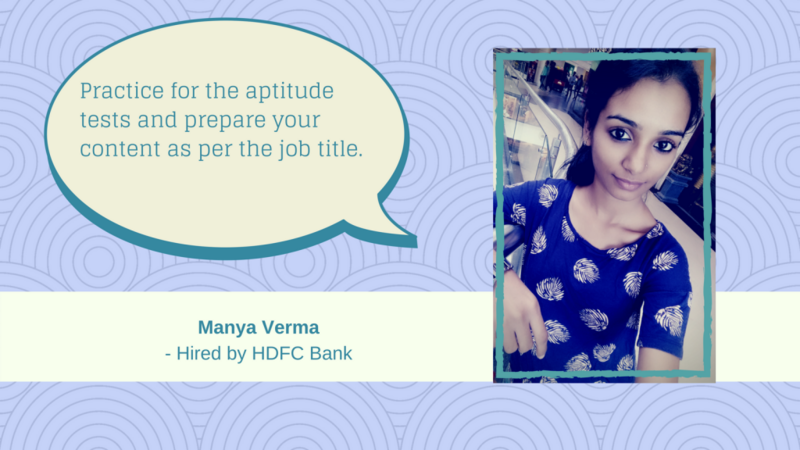 However, once we put together her AMCAT Test experience and why it led to a banking job, it made perfect sense. 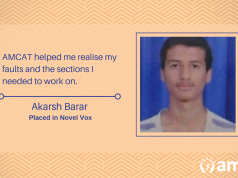 In our ongoing collection of student testimonials, here is a candidate, who came to the test, because she had heard of a promise for decent job profiles and reputed companies. This is how it went for her. 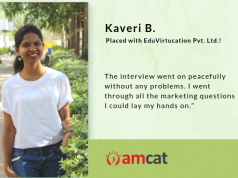 We began, by asking Sreevidya on why she opted for the AMCAT Test. When did you get your first interview call? How many did you receive? “The interview process at the company was a nice experience for me. There, I had met other people who had also applied through the AMCAT and were looking forward to work with the company. Would you recommend the AMCAT to others? If yes, Why? Even if you have good content, right concept, right time and right attitude of the content’s delivery matters. Prepare your content well according to the job title. And practice for your aptitude test beforehand.